People in this region have great expectations that the six-nation Gulf Cooperation Council (GCC) will get back on track by implementing the Riyadh Accord. It is no understatement to say that GCC unity has been derailed by disagreements with Qatar and the subsequent decision by Saudi Arabia, the United Arab Emirates and Bahrain to withdraw their ambassadors from Doha. More so than ever, Gulf leaders need to have the political maturity to understand that this region faces unprecedented internal and external threats, including global power shifts that are likely to bring about far-reaching changes for everyone. Energy-based wealth has been a blessing for the Gulf, making this region punch above its weight internationally, but it has also gone to the heads of some leaders, who have become uncooperative in their lust for more power. Al-Sabah argues that these existential threats include the current demographics in the region. This view is borne out by current data: When the GCC was established three decades ago, the member states had a total population of 13 million people. Now GCC countries have 47 million people, half of whom are non-citizens, including other Arabs. It is clear then that this imbalance has to be considered a major threat, particularly when formulating security tactics and strategies. Many would be dissatisfied with the political and social consequences if this issue remains unresolved. What’s needed under these circumstances are strong, internally stable countries, which have undertaken major structural reforms. This would then form the basis for the development of a union under one overarching constitution. It is also not enough to believe that a Gulf-wide security force can provide long-term security, as cogently argued by Prince Turki al-Faisal, the former director general of the Saudi National Intelligence Agency and chairman of the King Faisal Center for Research and Islamic Studies, in his speech at a conference in Bahrain recently focusing on national and regional security issues. “The first condition to maintain the security of Gulf states and its communities is further fortifying these states from the inside by formulating policies that ensure smooth relations between the leaders and the people,” Prince Turki said. The world is changing, with the U.S. seemingly indifferent to the region’s problems, Russia appearing to want a more dominant role, and the Europeans seeking to further spread their influence. At the same time, various groups want to impose their sectarian religious ideologies, which are a real and present danger, especially if traveling procedures are eased. These groups can be like a fast-spreading cancer, infecting every country in quick succession. Gulf unity is the only solution. An asset in this region is the love people have for their countries and their almost total disregard for those who seek to cause divisions. In any case, these divisive elements have no real representation on the streets. This desire for unity must be developed to promote national cohesion, equality, transparency and political participation; while countering the real risk of granting citizenship to others. History will judge whether Gulf leaders have taken the right decisions to achieve political stability and security. The continuing political disputes between GCC members endanger the dreams of our parents. The GCC has played a significant role in resolving various crises over the decades including helping to liberate Kuwait after the Iraq invasion. It is a political fact that the world respects strong countries. The conditions are in place for the Gulf countries to make history because they have used their enormous oil to invest in educating their people. This is one of the region’s greatest advantages and can help it determine its own destiny. This article was first published in Arab News on May 14, 2014. 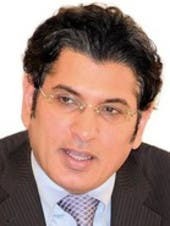 Mohammed Fahad al-Harthi is the editor-in-chief of Sayidaty and al-Jamila magazines. A prominent journalist who worked with Asharq al-Awsat in London and Arab News in KSA, al-Harthi later moved on to establish al-Eqtisadiah newspaper in KSA, in which he rose the position of Editorial Manager. He was appointed editor-in-chief for Arajol magazine in 1997. He won the Gulf Excellence award in 1992. Have GCC countries reached reconciliation? Should the GCC still be concerned about Iran’s regional ambitions?